in over 200 different boats! 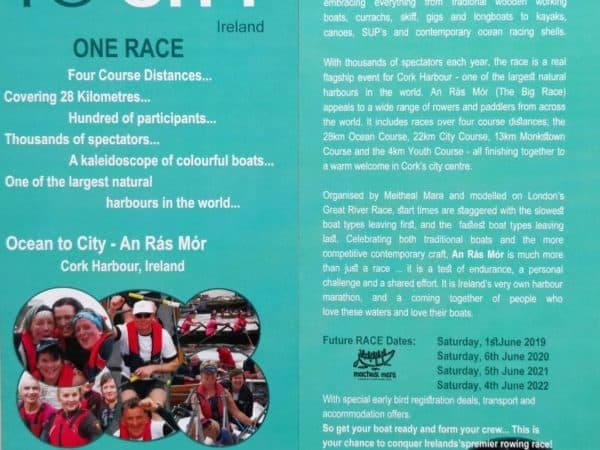 Ocean to City – An Rás Mór is Ireland’s very own long-distance rowing race attracting hundreds of participants annually. 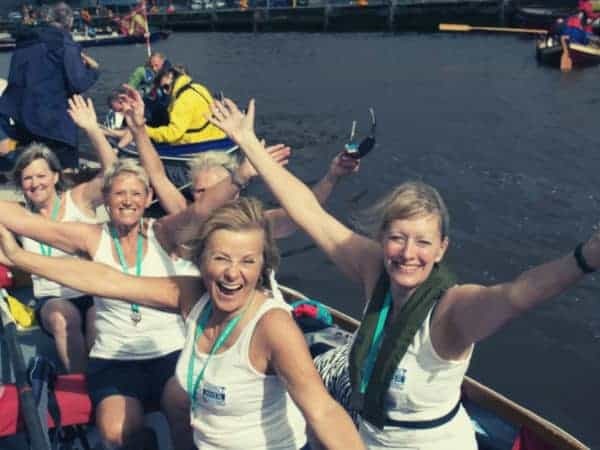 Started in 2005, it has grown from its origin as a race for traditional fixed-seat boats into an all-inclusive rowing and paddling event, embracing everything from traditional wooden working boats, currachs, skiffs, gigs and longboats to contemporary ocean racing shells, kayaks, canoes and even stand-up paddle boards. 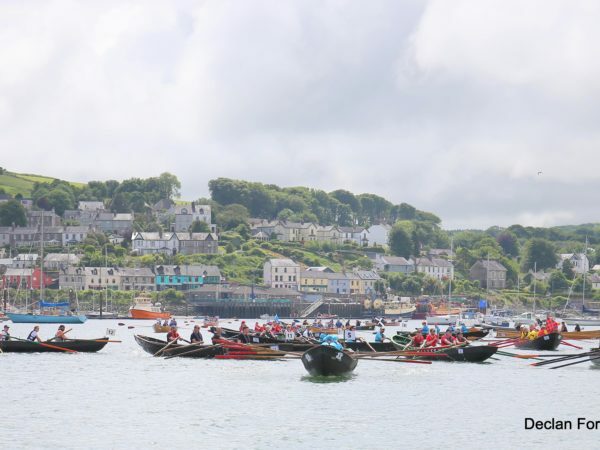 Ocean to City is the flagship event of the Cork Harbour Festival. This year’s Ocean to City takes place on Saturday 1 June 2019. ''The organization is first class, very helpful in every way. Previous rowers from the Club have said it's a challenge and are looking forward to taking part again this year. For the sea-loving its a "must do."